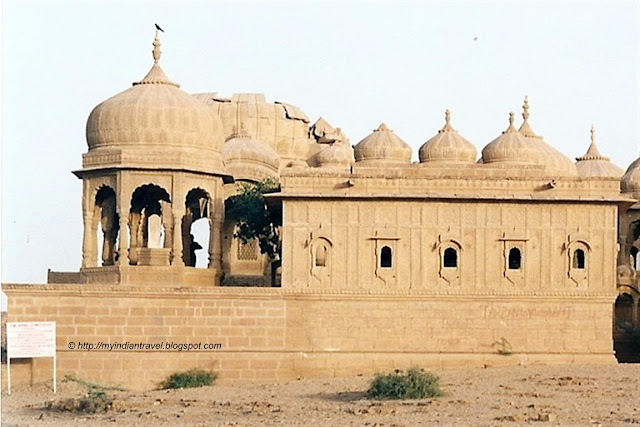 Jaisalmer has many interesting sites of architectural importance. One of them is Bada Bagh that is on the outskirts of the city just 6 kms away. 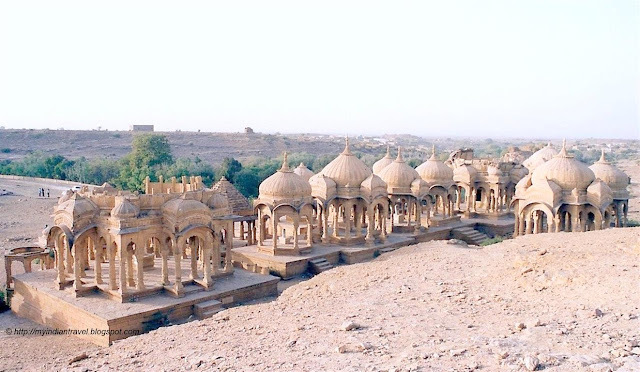 It contains a set of royal cenotaphs built in memory of Kings and Queens of Jaisalmer. The first one to be built is for Maharaja Jai Singh II of Bhatti Dynasty in 18th century. There are two distinct rows of cenotaphs, that look distinctly similar. They have been carved beautifully and some of them have interesting carvings on them. Later on, many more cenotaphs were constructed here for other Bhattis. The last one built was for Maharaja Jawahar Singh sometime in 20th century. They knew how to build in those times. Wonderfull. This place is huge and beautiful. Wow, beautiful ! what an artwork !! 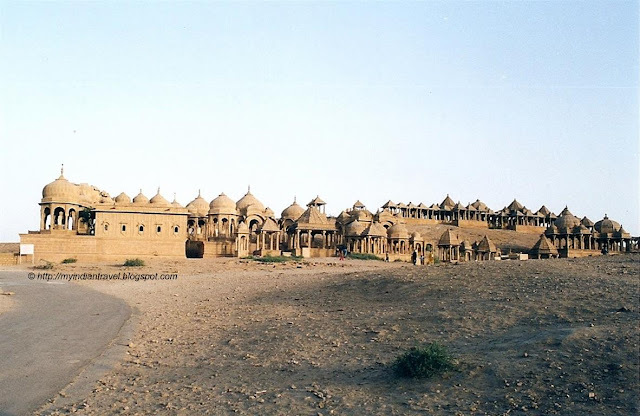 Thanks for sharing on Jaisalmer. Keep posting. Such charming buildings. Someone had a great eye for design. You sure are fortunate to have such historical and beautiful architecture to photograph! That is breathtaking! Thanks for the shadow shots! My God, what a beautiful place! Thanks for taking us all with you, Rajesh. Have a Happy Day & Week ahead!